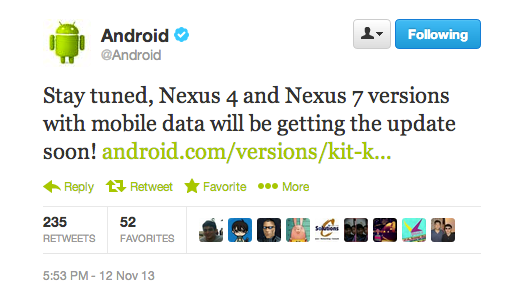 The time has come for owners of both the old and new Nexus 7 and Nexus 10 tablets to update to Android 4.4 aka Kit Kat. The official Twitter account from Google says the updates will begin rolling out tonight, so start mashing those “System Update” buttons inside your Settings menu. 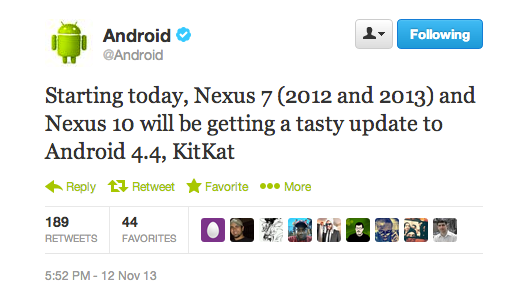 Once you see the update, let us know which device you have an how much you are loving Kit Kat!